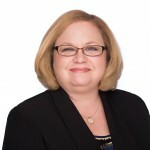 UCS | Leslie Wilson - Universal Consulting Services Inc.
Leslie Wilson is a Director of Programs for IT contracts at UCS with over 20 years of commercial and Government project management experience. She manages day-to-day operations for Tier III systems integration, functional help desk, software development, and user training projects. Before coming to UCS, Leslie served as an IT consultant for enterprise information systems and Office of Management and Budget (OMB) 300 exhibits. She has also served as a director of professional services for the implementation of outsourced technical operations systems and services for both Government and commercial entities. Drawing on her passion for personnel management and enrichment, she assisted with the creation and deployment of a coaching program that aligned employee goals with status updates and annual performance assessments. Leslie holds an M.S. in Organizational Performance from Bellevue University and a B.A. in Speech Communications from George Mason University. Additionally, she holds the following certifications: Project Management Institute’s (PMI) Project Management Professional (PMP), IT Infrastructure Library (ITIL) Foundation v3, and CompTIA Certified Technical Trainer.